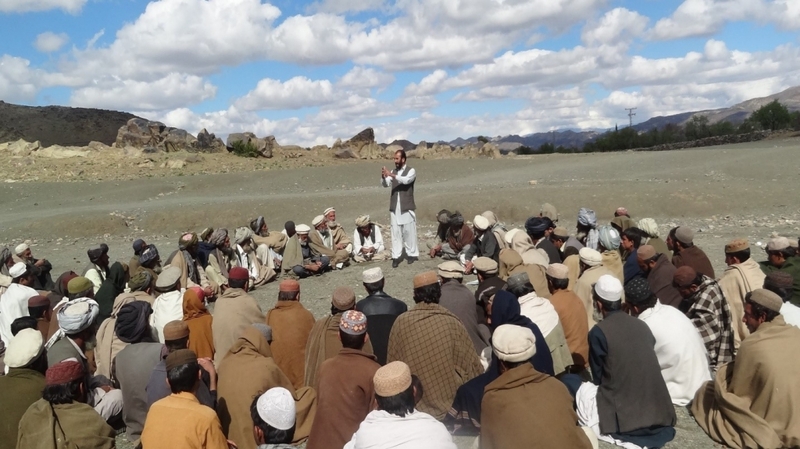 MSc Social Policy and Development alum, Asmat Kakar, tells us how Balochistan’s Village Development Plan (VDP) can provide a participatory approach to local service design and delivery. People living in rural areas are the most neglected, marginalised and poverty-stricken populations in Balochistan. Thousands of rural households are at risk of seeing their standards of living and means of livelihoods decline as rising temperature and continuing drought from the last fifteen years, scarcity of water and lack of basic needs are pushing rural populations to live in miserable and deplorable conditions. For thousands of poor households in rural Balochistan lack of basic facilities is a major challenge, and poses a high risk that can critically restrict their means of income and opportunities of socioeconomic development. Recently published World Bank report on The State of Water Supply, Sanitation and Poverty in Pakistan and Its Impact on Child Stunting, clearly recognizes lack of basic necessities of life as the main cause of poverty in Balochistan. The report shows that approximately 62 percent of the rural populations in Balochistan is living below the poverty line. The report highlights the worst condition of populations in the district of Washuk, the poorest district, in Balochistan province where 73 percent of the population is extremely poor, and lacking access to basic facilities of life. Likewise, data collected from 249 rural Union Councils of eight districts of Balochistan under EU funded Balochistan Rural Development and Community Empowerment Programme (BRACE) demonstrate similar figures of poverty and lack of access to basic needs in the programme areas. According to the census more than 80 percent of children are out of school due to lack of education facilities in the province. Approximately 95 percent of households do not have access to clean sources of drinking water. In most rural areas, humans and animals drink water from the same unhygienic sources of water. In Socioeconomic Baseline Survey held in 2018 under BRACE Programme, when people were asked about whether they have been taken on board regarding any decision made for them by the local government? All rural households have chosen option NO against the question asked. In a question related to peoples’ satisfaction with the performance of local government, the response was mostly negative, meaning they are not satisfied with the performance of the local governments because they lack the power, resources and capacity to deliver peoples’ demands for better basic needs of life. Decentralisation Reforms and Polity’s Reluctance: What is the Problem? After decentralisation reforms in Pakistan in 2010, provision of basic facilities of life has become a provincial and local mandate. All powers and resources related to basic facilities of life including education, health, water and sanitation, technical and vocational training, and opportunities for access to decent work have been devolved from federal government to provincial down to local governments. The objectives behind these decentralization reforms were; to improve service delivery at village level; enhance efficiency of local governments; and give common people an opportunity to have their say in decisions made for their development and prosperity. But at the provincial level, still, sector planning frameworks remain weak, there is no clearly articulated sector-wide approach, no mechanism for giving importance and more resources allocation to human development programmes, and no actual presence of a robust and resourceful local governments at grassroots due to the reluctance of polity at provincial level to transfer powers and resources to local governments. If they do so, they will lose everything. This reluctance of transferring powers and resources is not only undermining better services delivery, development, and prosperity at the grassroots level, but, also to the already troubled nascent democracy in the country. Keeping in view the absence of a local development policy, sector planning and frameworks, and robust local governments in the province, the BRACE Programme helps rural communities to organise themselves into their own led community organisations to foster robust partnerships with the local government institutions for better service delivery at grassroots level. To have meaningful say in the decisions making process of the local government, these community organisations will develop and present their own Village Development Plans (VDP) for their respective villages. VDPs work as the manifesto for the community organisations and are developed with common consensus by all the households in the village. In such plans, both men and women’s concerns for their development and prosperity are included. Once a VDP is developed, these community organisations then develop a resource mobilisation plan and identify potential contributors for executing their plans. Recently, I had an opportunity of participation in the development process of Village Development Plan in Wadh, District Khuzdar, Balochistan, where under community organisation, community members discussed and identified their issues particularly regarding basic needs, formed their VDP and resources mobilisation plan, and identified potential contributors for the execution of their development plans. During the discussion, local government institutions were underlined to be the most viable contributor to deliver their plans. Moreover, key development activities were identified and included in the VDP with common consensus of all the households in the village. These activities included provision of quality education for girls, improved health facilities for women, and technical vocational and education training center for training youth both boys and girls to have access to skills for improving their opportunities of having decent work for earning income. All said that, now the ball is in provincial government’s court to not only develop local development policy, clearly articulated sector wide approach, and sector planning frameworks but also establish robust local governments at the grassroots level. More importantly, devolve powers and resources to local governments so that they can institute and foster robust and sustainable partnership with community organisations for better service delivery at the grassroots level imperative for poverty reduction and socioeconomic development of the rural communities. Asmat Kakar (@asmatkhan19), Monitoring and Evaluation Officer for European Union Funded Balochistan Rural Development and Community Empowerment Programme. He completed his MSc in Social Policy and Development at the London School of Economics and Political Science in 2016. This is voice of voiceless people..poor people who they have no right to think, plan and implement. 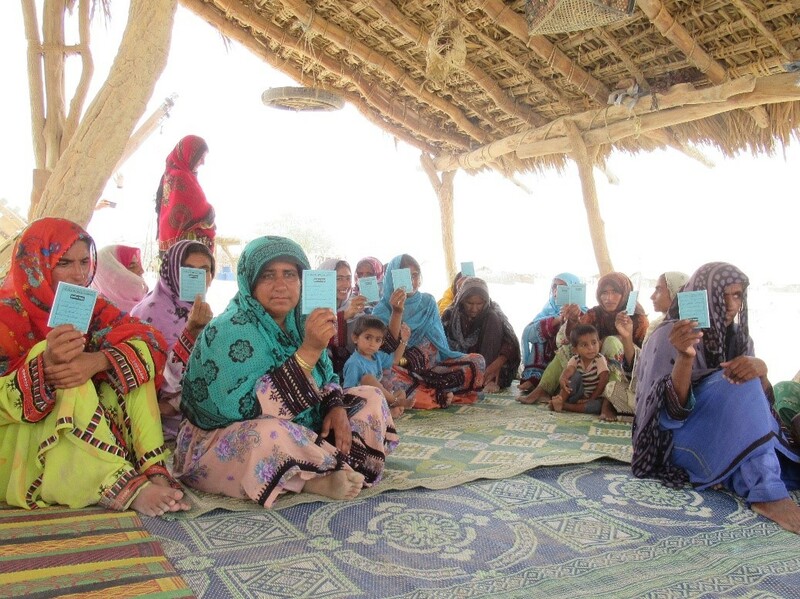 Village Development Plan is the origin of development of destitute, poor and marginalised class.. this is voice of poor women of Pakistan, Baluchistan, world..
WE are also doing similar work in Sindh Province, where CDLD Poverty Reduction Strategy is also prepared and approved by the provincial government. Further implementation arrangements are being worked out the TA funded by EU. The Joint Development Committee comprising of DC and line departments as well as representatives of LSOs is very important to share the development needs identified under VDP and compiled in UCDP can be shared with JDC for mobilizing resources from government. You people still need to do a lot of work on Balochistan Govt for programme ownership. In the 80’s at AKRSP under the leadership of Mr. Shoaib Sultan Khan( SSK) , I did work with mountain small farmers using the series of village dialogues, which used to be called Social Guidance Approach. And that demonstrated transparency, accountability and ownership of the projects with enhanced self-management of projects after its completion. Thanks to SSK for devising and applying the process in those remote locations of which transformed the lives of mountain people in our part of the world.